On 5 March 2015, the Russian Army began to hold simultaneous field exercises on twelve firing ranges in the Russian Federation's Southern Military District and in Georgia's occupied regions of Tskhinvali and Abkhazia. Different military units, including divisions of air defense are carrying out large-scale exercises in the use of various artillery systems. These exercises notably involve advanced Russian offensive military equipment such as "Igla" air defense missile complexes, "Tunguska" anti-aircraft gun and missile systems, "Shilka" anti-aircraft artillery systems, S-300B, "Strela-10", "Tor" and "Osa" anti-aircraft missile systems. Over 2,000 men and 500 units of military equipment are taking part in these field exercises. These actions of the Russian Federation are a further infringement of Georgia's sovereignty and territorial integrity. 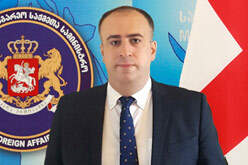 They constitute a gross violation of the Georgian Constitution, of the norms and principles of international law and of Russia's international commitments including those Russia undertook by the Ceasefire Agreement of 12 August 2008, and pose a threat to peace and stability in the region. The Georgian Foreign Ministry is extremely concerned by this matter, and demands that the Russian government comply with the commitments it has undertaken and that it withdraw its armed forces from the territory of Georgia and de-occupy Georgia's regions. The Georgian Foreign Ministry calls upon the international community to duly react to this further destructive step which Russia has undertaken, and to prevent another action aimed at undermining Georgia's sovereignty and territorial integrity.